Would you like to see what I gave Blossom and her DB for Christmas? 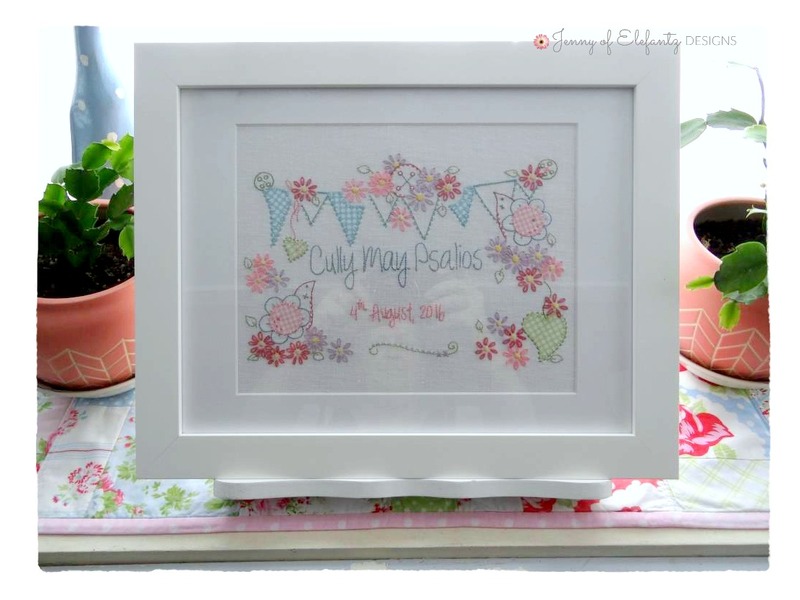 In celebration of their first child's arrival last August I designed and stitched a birth notice, something 'just for them'. They had no idea about this gift so their delight on Christmas Day upon opening it was spontaneous and heart warming. 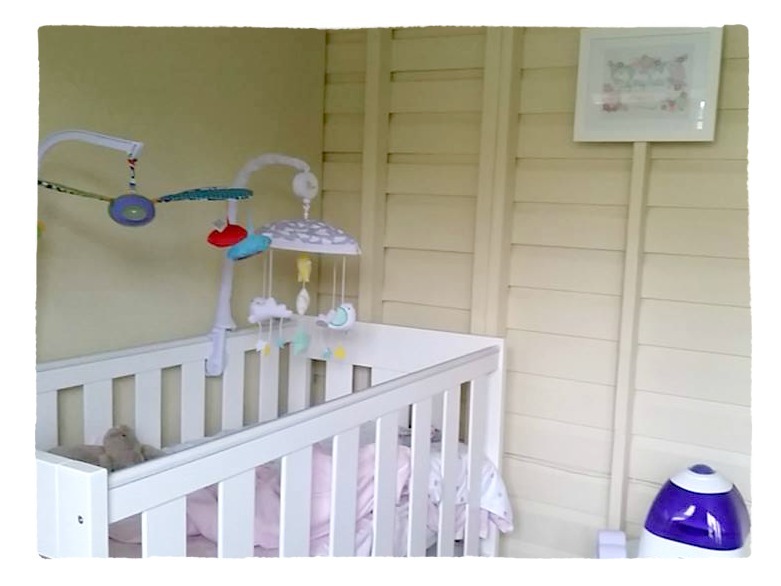 Blossom re-arranged their home over the weekend and sent me a photo to show it hanging above Cully May's cot in their room. This time it was I who received the blessing. Don't you get the most wonderful feeling when you make a gift for someone you care about? 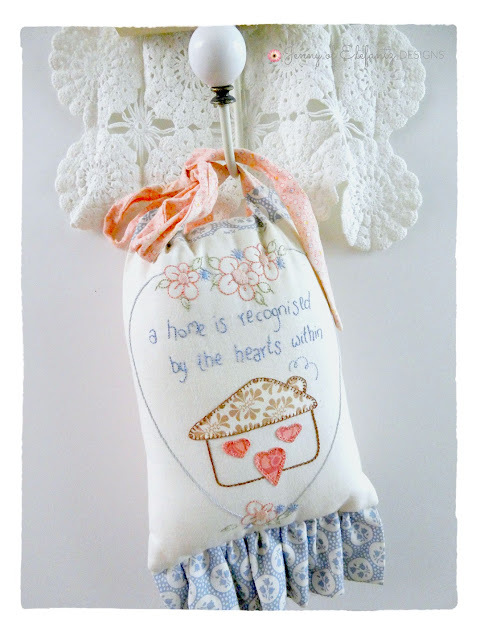 One of my daughters, Anita, was very taken with all my door hangers when she and little Aminah came to stay last September so I'm planning to make a couple for her in the next week or so. She especially liked the positive messages I stitch on the ones displayed around our home and as I have scores of completed stitcheries in my design box that have not yet been used in projects they will be my starting point. When I stitch a design I cut my background fabric 4 inches wider and higher than the size of the stitchery so there is enough space to trace and stitch the words I want to use. 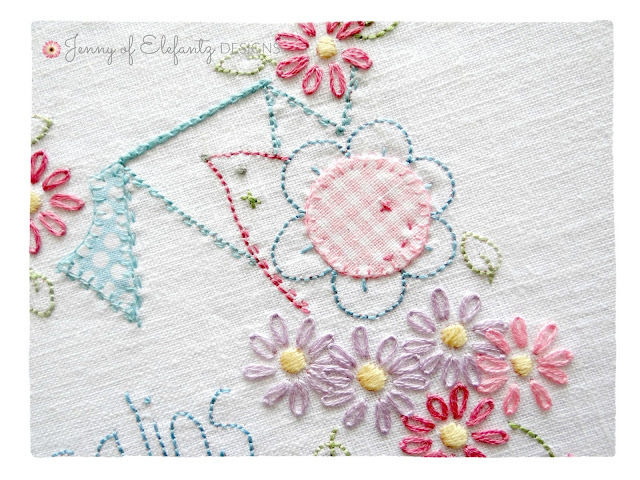 From there I can finish them as lovingly made door hangers. I'm also going to make some as a gift for my daughter Aisha. She and hubby Tim celebrate their wedding anniversary in February so I will make sure the messages on their door hangers focus on 'love'. Tomorrow morning I'm off to babysit Cully May for an hour or two while Blossom does a deep clean of her bathroom, but then I'll head home to give my kitchen an even deeper clean. You see, every January I give my kitchen a makeover. Creating a 'fresh' kitchen early in the New Year is something I look forward to once Christmas has passed, but to be honest, with Mr E home these past few weeks the timing hasn't been right and I've delayed my plans a bit. However, this delightful chore can no longer be put off and tomorrow I will begin removing items no longer needed, re-organising the pantry and drawers, laying fresh lining paper on the shelving, sewing a few pretty trimmed tea towels, sorting through all the recipes I've printed up from the year before and filing them in a newly bound recipe folder, scrubbing the oven, and washing the fridge inside and out. I'll also do a check of all my spice jars for freshness and a purge of anything out of date in the pantry and refrigerator. Once all that is done I can clean the hard surfaces and windows, vacuum, mop, and lay a new kitchen mat. By the time Mr E starts his new job on Thursday the kitchen should be just right and I can begin working on a 4-week rotating menu and baking plan. 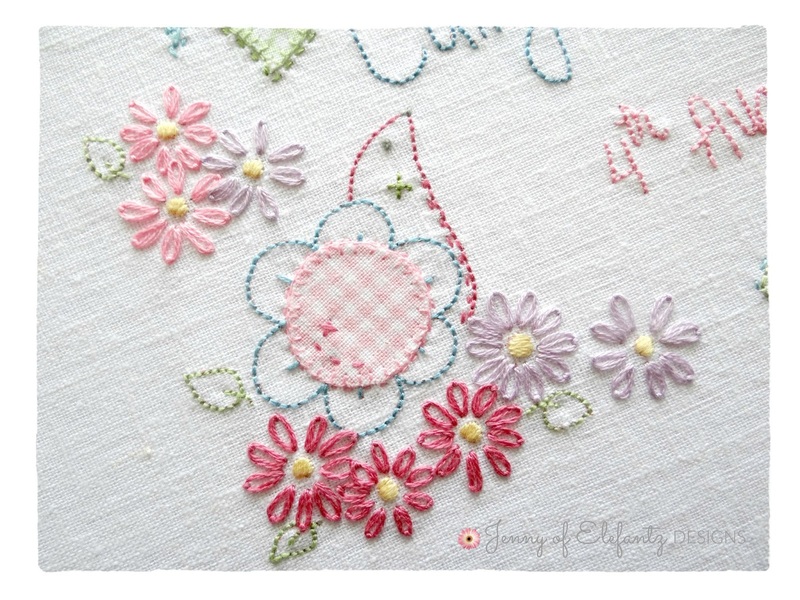 I should also make a new apron...yes, that would be nice. 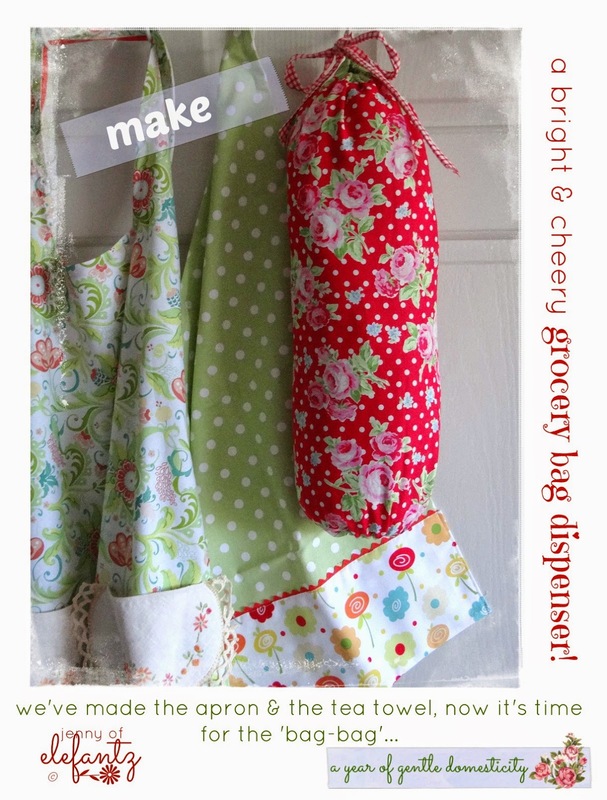 If you're needing a little 'kitchen inspiration' perhaps these older tutorials and blog posts of mine will come in handy? 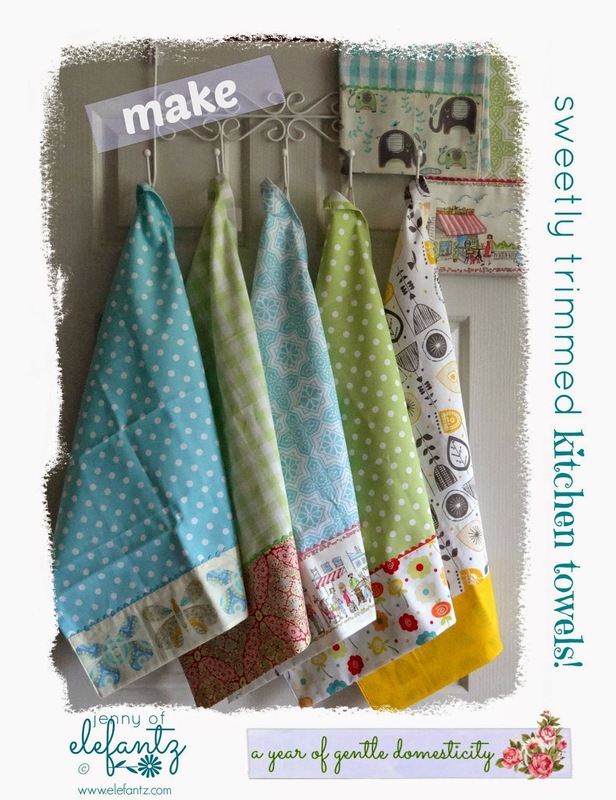 Sew some new kitchen/tea towels HERE. 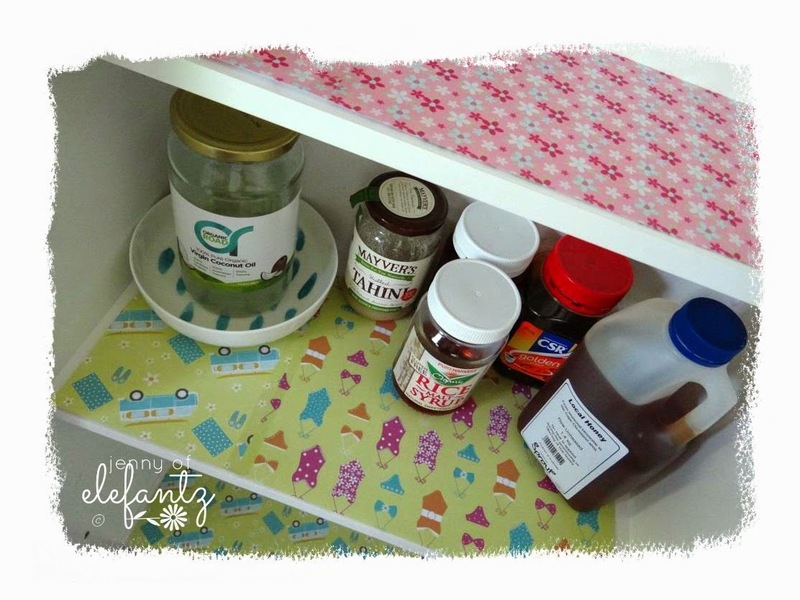 Lining pantry shelves with 'scrap' paper HERE. 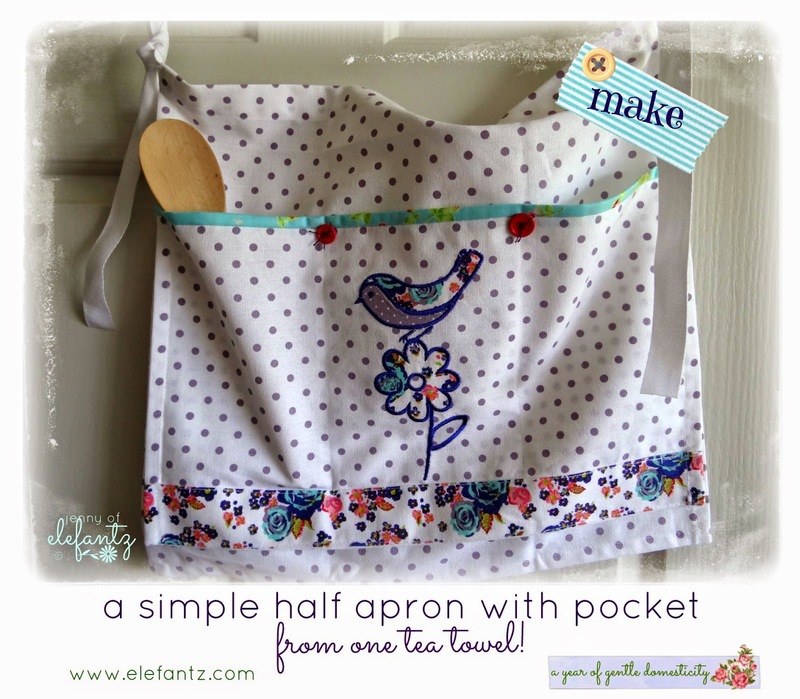 Sew a simple half-apron HERE. What will you be doing around the home this week? It's always a great feeling when the cleaning is over! Love the little birth sign - gorgeous! Belessings to you and yours. I'm also in the deep cleaning mode. I don't necessarily enjoy it, but I do love the satisfaction when it's done! The birth announcement is so pretty. 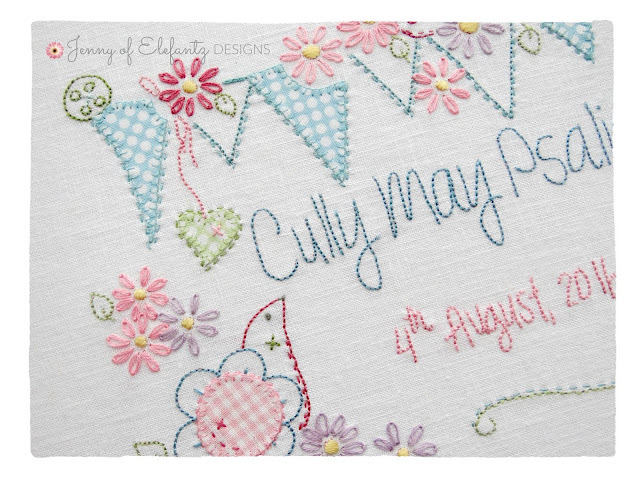 What a special way to welcome Cully May. I just deep cleaned my bedroom this morning, so I am in that mode as well. Now, having read your post, I feel the need to tackle my kitchen. I usually do that right before the holidays, but somehow that got delayed. Paring down and reorganizing is such a good feeling! Also, I have eagerly awaited your "reveal" of Cully May's Christmas gift, and i must say that it is charming! Love the birth announcement, beautiful. I thought you were going to share the pattern. Did I miss the post? 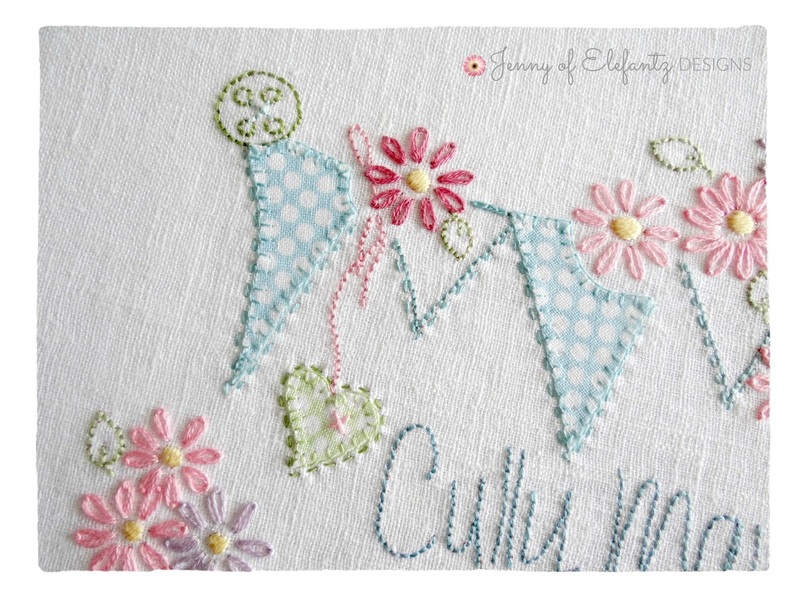 Bilbo Baggins, I shared Cully May's quilt pattern a couple of months ago, that must be what you're thinking of. It's in my shop as a free download. The birth notice is for her, not something I'll be sharing. Such a beautiful gift. 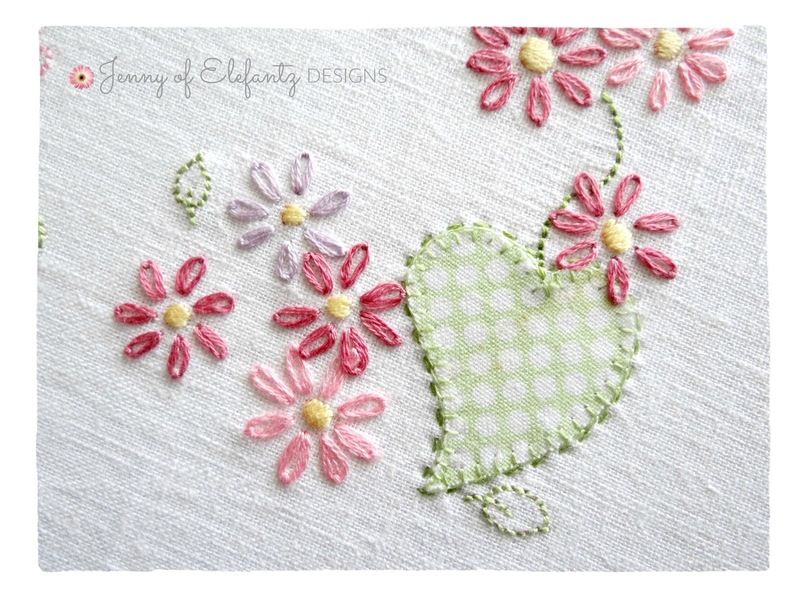 Heartfelt and every stitch, stitched with Grandmotherly love. WEll, I shall be putting things back in a corner kitchen cupboard for the 3rd time after the hose to the dishwasher leaked and I had water dripping out onto my wooden floor! Meanwhile I have thrown a few things out that I haven't used for about 10 years. I am having difficulty bending down to the bottom shelf these days and need to come up with a better idea. I cleaned out the pantry last November and went though all the herbs and spices like you. Hmm, the fridge is a problem as it has been leaking for a few years now and I think it is about time we bought a new one. 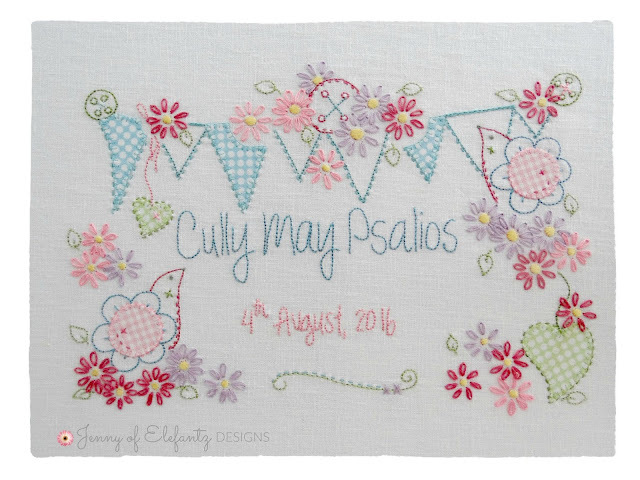 Love your beautiful birth stitchery for Cully May. I must think of something to make for a boy. Have fun with your cleaning. I usually do mine when hubby is out of the house too.